Paper House 3D Stickers 4.5"x8.5" - PAPER HOUSE-3D Stickers. 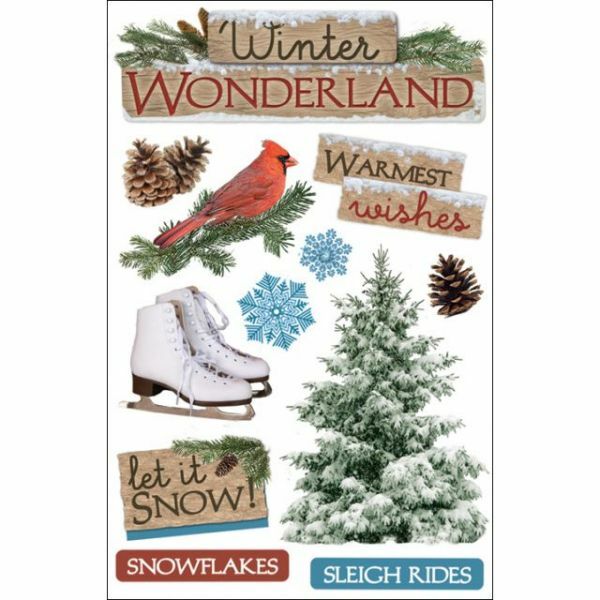 Give your projects an instant pop of dimension with these 3D stickers! Each one is mounted on adhesive foam dots for quick and easy placement. 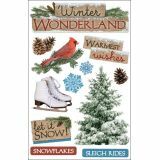 This package contains Winter Wonderland: twelve stickers of varying shape and size on a 7x4-1/2 inch sheet. Imported.